You first start out by preparing your cake. The cake gets crumb iced. 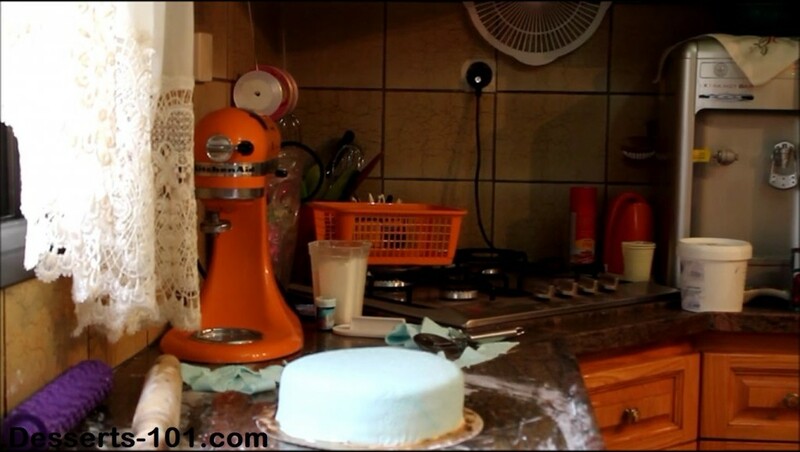 Remember, the way the cake looks with the crumb ice is close to the way it will appear once coated with fondant. This means dips and bumps, frosting lines may all appear in the finished product. Take you time and do the base right, it will payoff in the end. applying fondant • fondant • Fondant Cakes • How To • Techniques • texturing fondant.